Spend your holidays almost directly on the sea in the village Povljana in these beautiful holiday apartments. The comfortably furnished apartments offer panoramic views on the sea. Spend your holidays almost directly on the sea in the village Povljana in these beautiful holiday apartments. The comfortably furnished apartments offer panoramic views on the sea. In the attic apartment the minimum ceiling height is approx. 100 cm. Povljana offers pebble beaches and bike paths and is popular for surfers. Visit the favored tourist towns of Pag and Novalja, with beautiful beaches and many entertainment programs, which are taking place during the summer months. Try the pager specialties like cheese, roast lamb and good regional wine, and let the music of local artists entertain you. This modern apartment is made from brick or stone and was originally built in 2007 and refurbished in 2009. The agent has rated it as a three star property so it is a well-kept apartment, equipped with standard furniture. It is also good value for money. 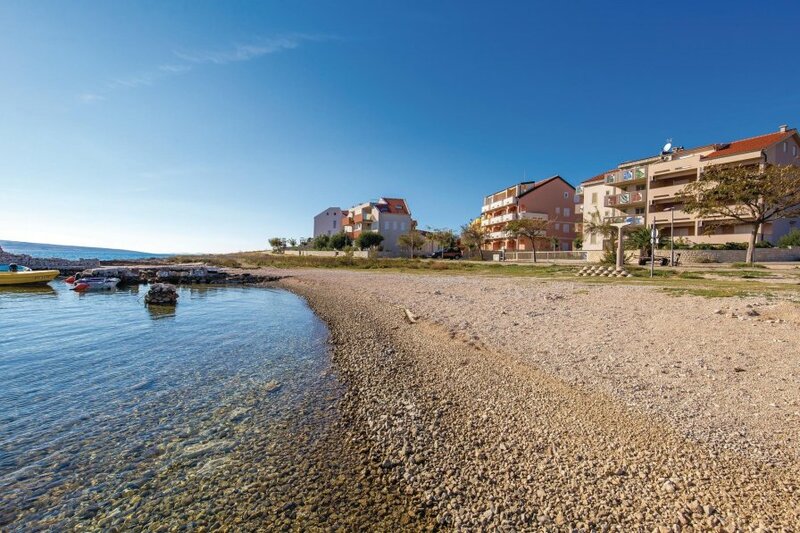 This apartment has beautiful panoramic view over water and is located in Povljana, only 14km from Pag. It is set in a very convenient location, just 30 metres away from a stone and pebble beach. There's also a restaurant only 10 metres away. You can also park on-site at no extra charge. The apartment is adequately equipped: it has a refrigerator. It also has a shared barbecue and some shared garden furniture outside.